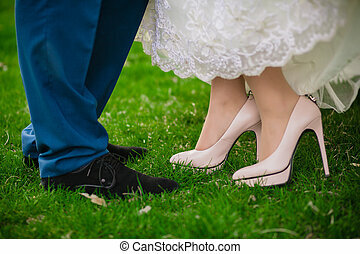 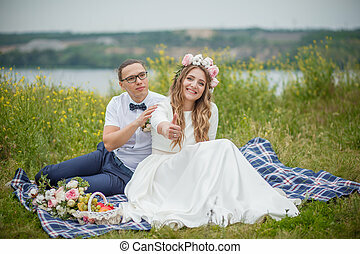 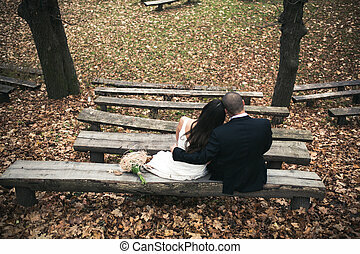 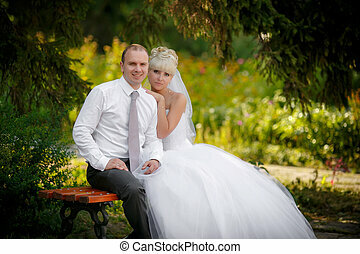 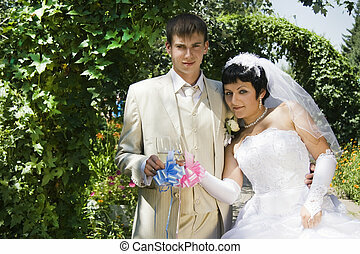 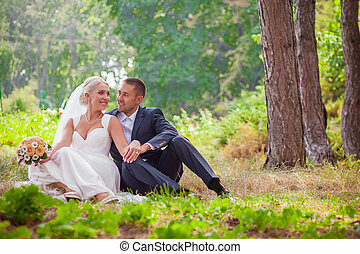 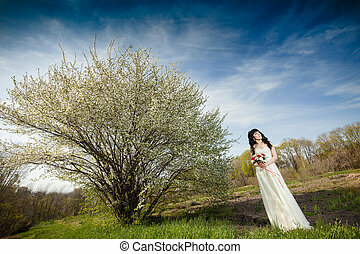 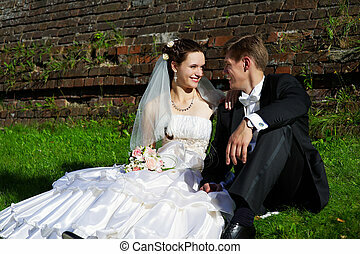 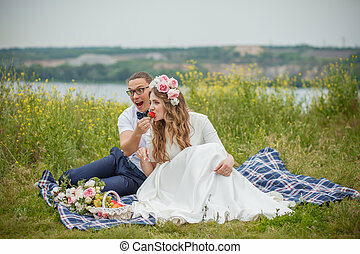 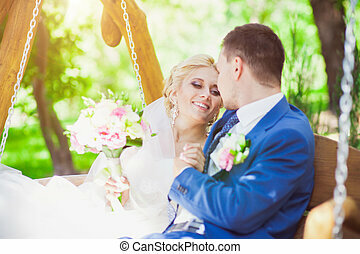 Bride and groom sit on grass in the park. 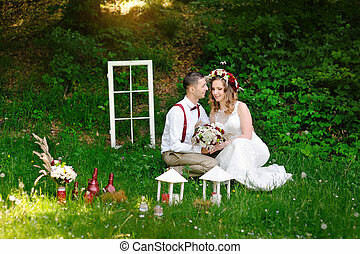 The bride and groom sit on the grass in the park. 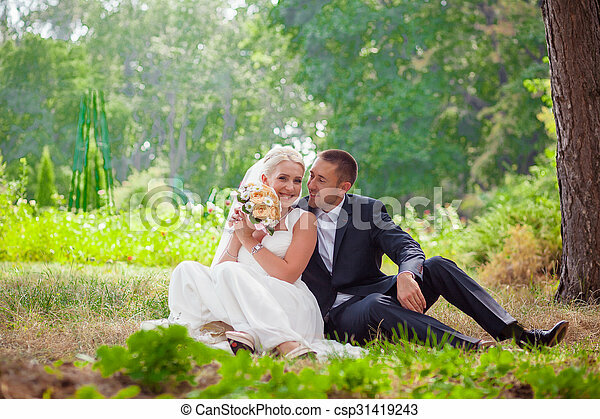 groom and bride sit on the grass in the park. 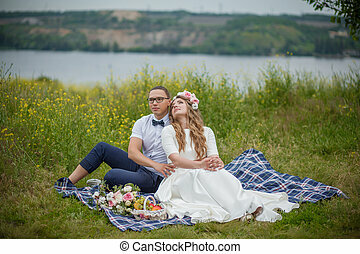 Beautiful bride and groom sit on the grass. 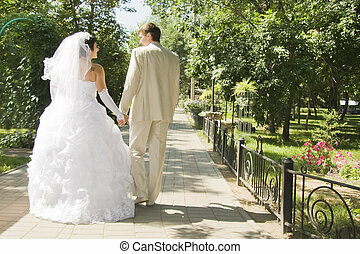 Wedding walk. 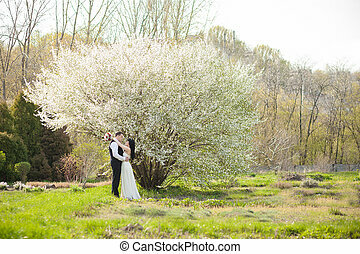 Groom hugs bride on walk in the summer park. 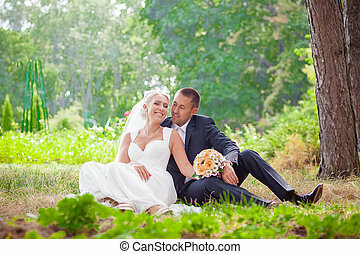 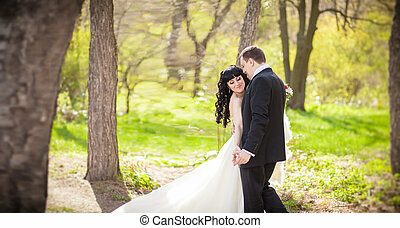 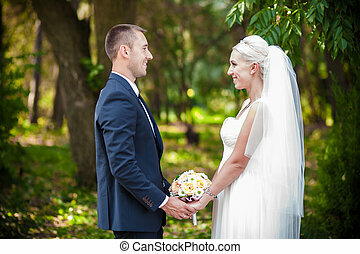 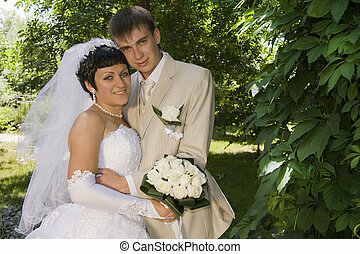 bride and groom are sitting on the green grass in the park.